Ethel Maxine Grimwood, 94, of Crossville, Illinois, died Saturday, January 19, 2019, at Wabash Christian Village in Carmi, Illinois. She was born May 20, 1924, in Phillips Township, White County, Illinois, the daughter of Clyde and Effie (Slankard) Hanks. 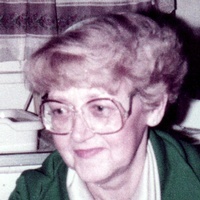 Maxine was a retired from Carmi Township High School where she was a teacher and librarian. She was an avid reader. Survivors include daughter Melissa Fitzgerald of Crossville; grandchildren Shawn Gidcumb, Tara Fitzgerald, Jeffrey Ritchie, Richard Grimwood, Michael Grimwood, Robert Grimwood, Aimee Kendall; great grandchildren Matthew, Zachary, Gabriel, Nicholas, Abbi, Mary, Mylittaa, Jessika; great great grandchildren Ian and Nieasha. She is preceded in death by her parents; son David Grimwood; daughter Joyce Ritchie; brother Wilburn Hanks and sister Marilyn Hanks. In keeping with Maxine’s wishes, her remains were cremated and there will be no services. Cook Funeral Chapel in Crossville is in charge of arrangements. A great Lady, teacher. She has my respect. She was my teacher in Maunie. My librarian in Carmi high school where she became a friend. I am sorry for your loss.